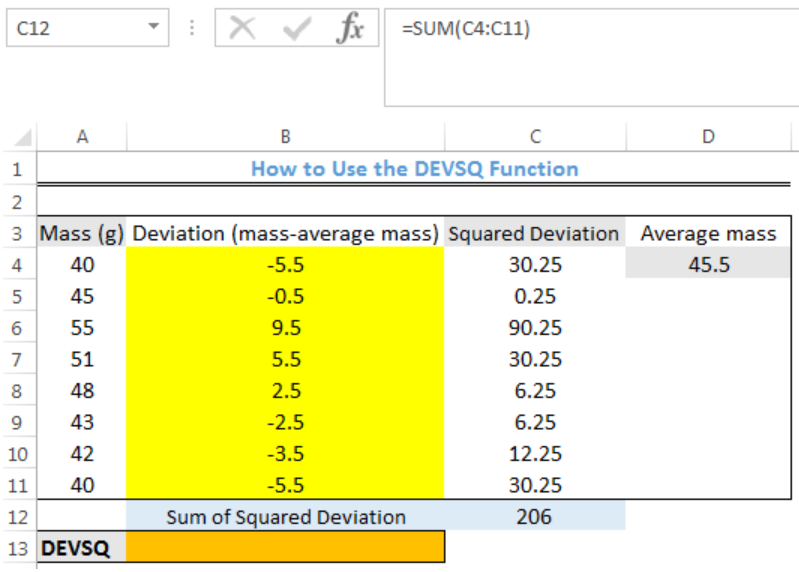 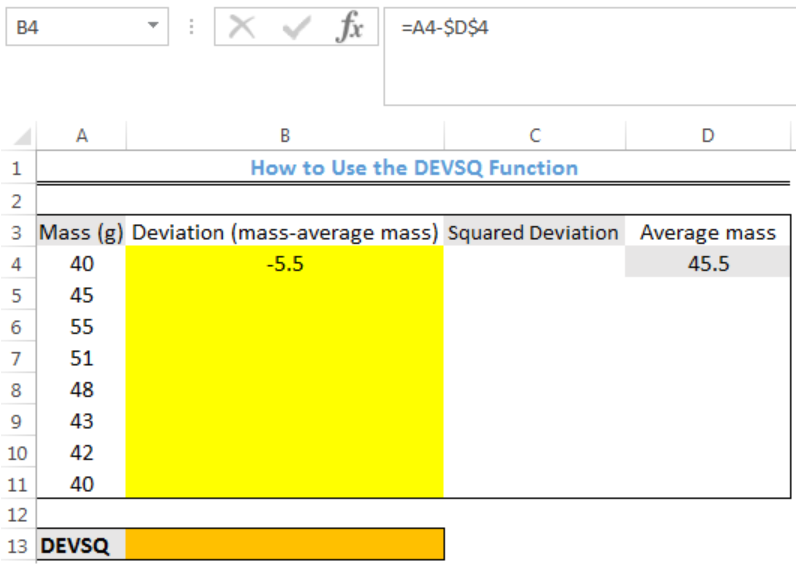 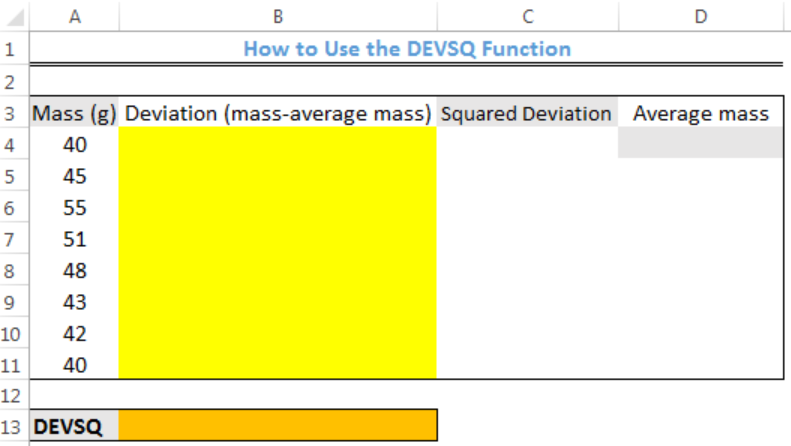 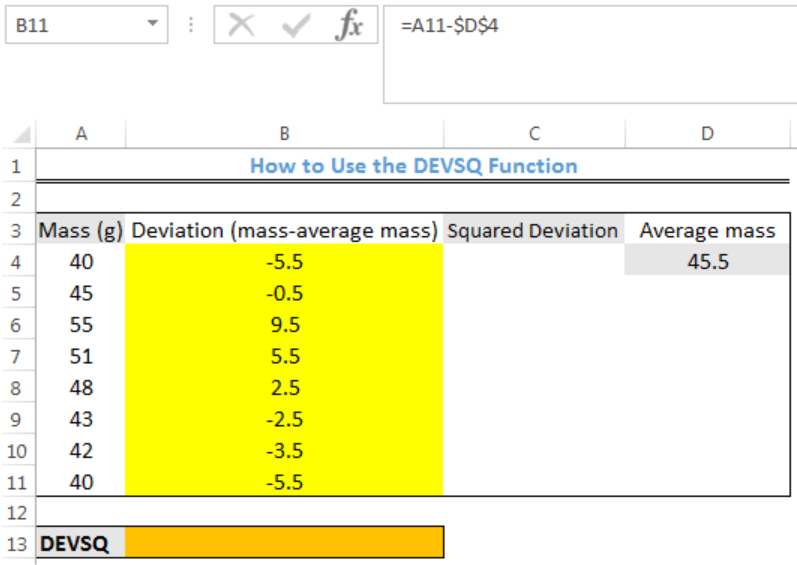 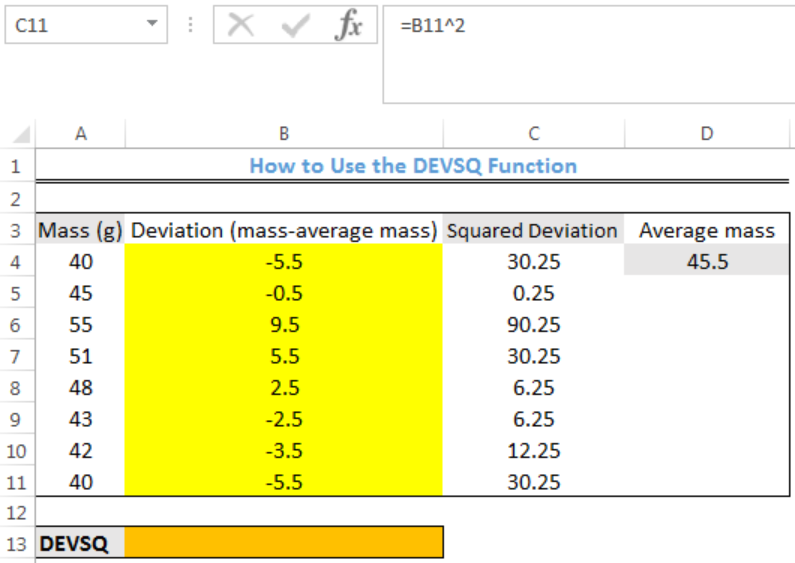 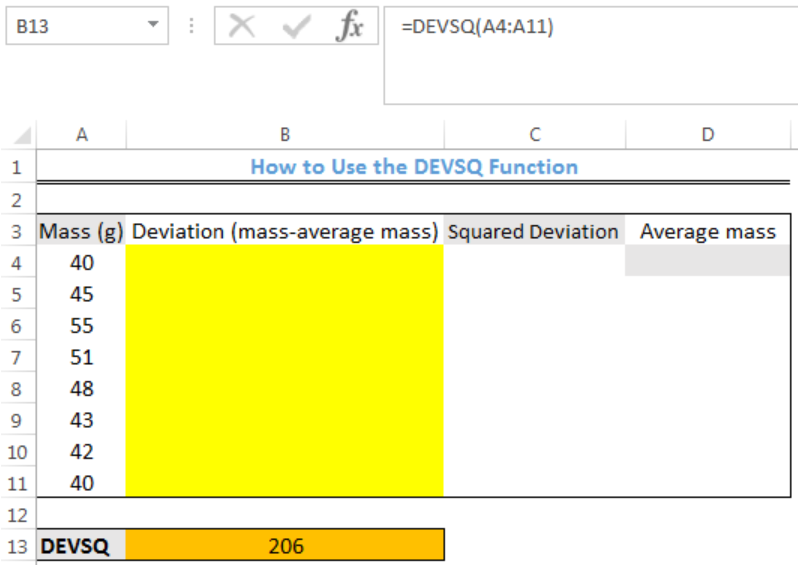 We can use the DEVSQ function to calculate the sum of squares of deviations from the mean value of a data range. 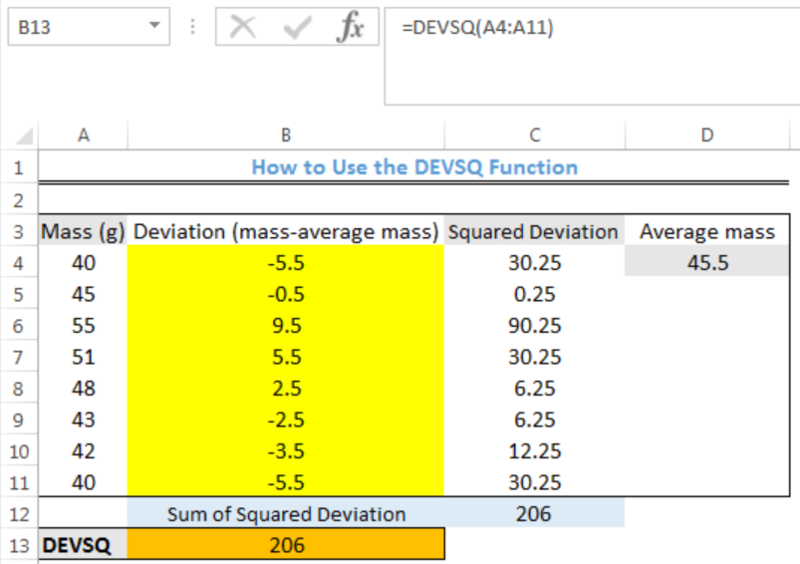 The steps below will walk through the process. 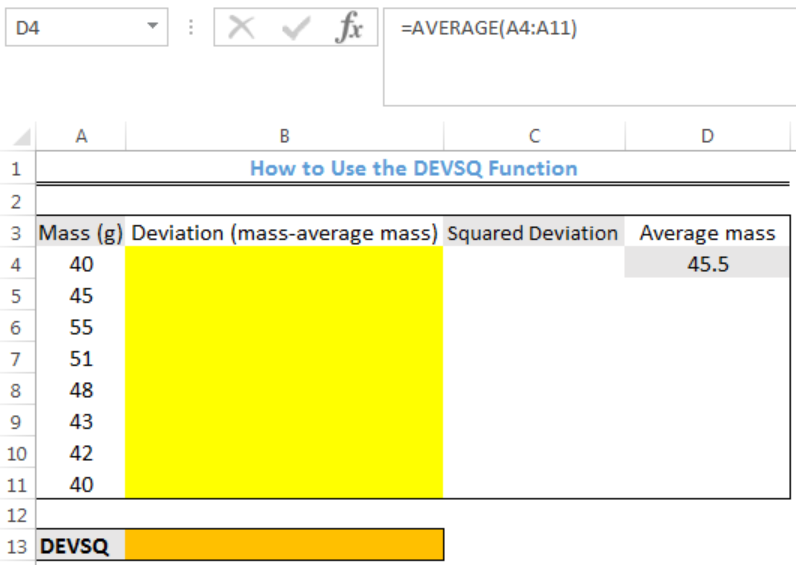 We can see that the result from the alternative method which is longer is the same with the first method.